Tapping into an idea that has only been had one or two (dozen) times before, Dimension Films has announced that, as first hinted in 2012, it’s moving forward with a brand new Amityville Horror movie, this time bearing the hip, streamlined title Amityville (which, surprisingly, is not already the name of an Amityville Horror movie). According to Coming Soon, Dimension has hired P2’s Franck Khalfoun to direct, with Jennifer Jason Leigh and Bella Thorne (star of Disney’s Shake It Up) reportedly signed on to play a mother and daughter unfortunate enough to be living in the house that ruined that style of quarter-circle window for everyone. As Coming Soon points out, this announcement probably means that its previously announced Amityville Horror update, subtitled The Lost Tapes, has been thrown out in favor of whatever new spin this film will bring to the haunted house table. Our guess? Since Dimension has cast the mother so early, this time she’ll be the one to go crazy and murder her family instead of the dad/boyfriend. 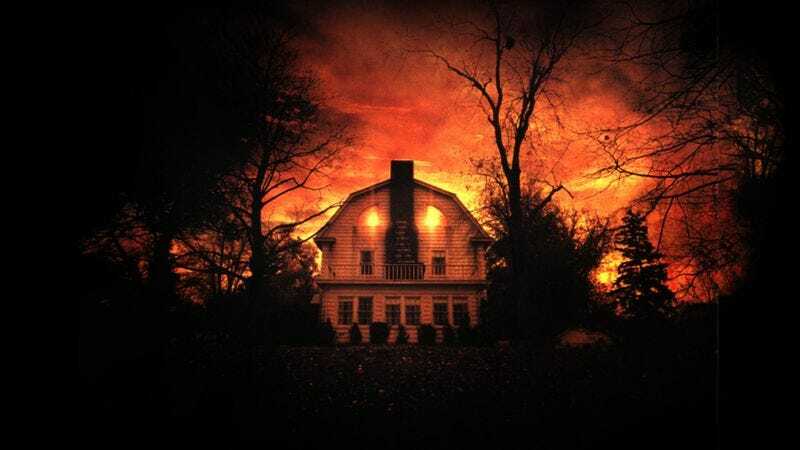 Or maybe they’ll save that twist for Amityville 2: The Horror or whatever they call the remake of this movie.